We had some exciting new arrivals on Thursday afternoon... Not one, but two poddy calves! With D-day fast approaching for one of our heifers, we decided to get the ball rolling in terms of getting another cow. We had considered a ‘poddy’ when we originally moved in, but Matt didn’t believe I’d be able to see it through, especially raising one by hand… to be honest I'm not sure either of us are confident of this yet. However having gained experience raising our own chooks and pigs; particularly Streaky, our original Berkshire sow, whilst we both know it will be difficult, at least we’ve had some experience. We decided a young calf would be ideal, as this would stagger the ages of our cows, something we need to consider when raising your own meat. So we decided to seek out a ‘poddy’, as it would also save a life (least for a few years). Plus it would give us the oppurtunity to quiten and settle the calf, before introducing her to the big girls. 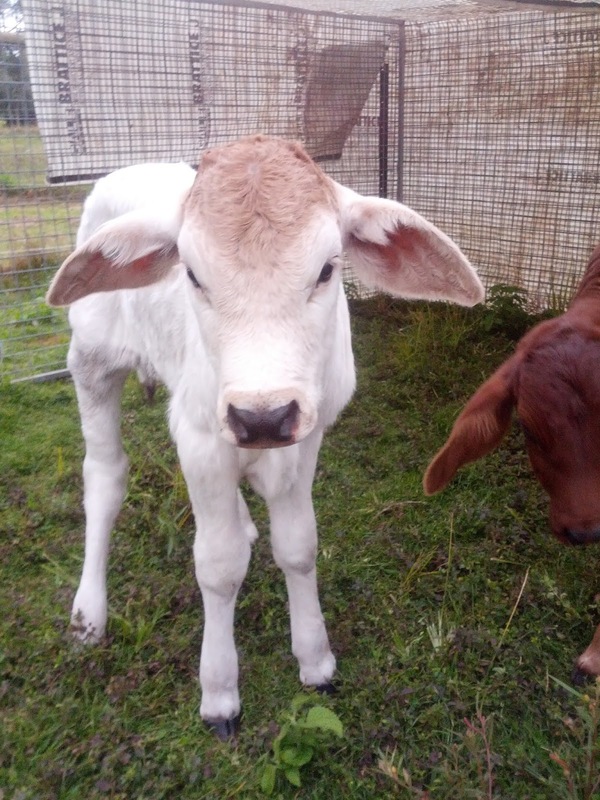 "Poddy calves" in Australia are abandoned or orphaned calves that have to be bottle fed. The term probably originated from the fat little bellies the calves develop. In our case I contacted the local cattle abattoir, as I had heard you could buy a ‘poddy’ if one became available. 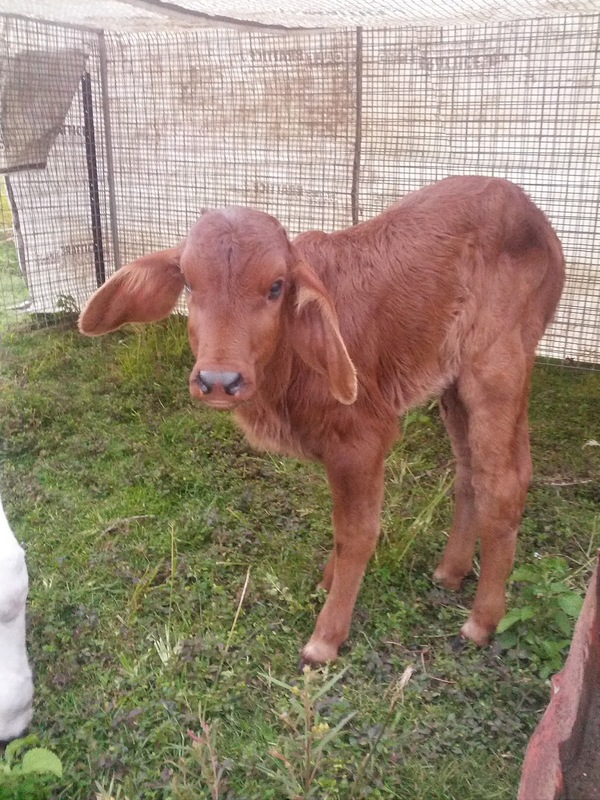 Occasionally the cattle calf in transit or upon arrival and the staff are happier to sell/ re-home them where possible; given you have the appropriate property and provisions- here in QLD you require a PIC number- Property Identification, so that the animals can be properly transferred and registered. So we placed our name on the waiting list. We were surprised when we received a call a week later to say they had not one but two! I was initially reluctant, as our property isn’t very big. But how could refuse that face! The female was ‘small’ and probably ‘premmy’ (premature) they told me. And her mother had hadsome udder deformity, though she had been feeding from the other calves mum… so we had to give this little fighter a chance. So if we grow both to weaners, we’ll reassess our options then. On this news, my first priority was to do a little shopping; milk replacement, baby bottles, hay… we set up a small pen area in our house garden, with shade, fresh water and hay. And welcomed our new arrivals- Bart & Ruby. Bart is a Brahman, Charbray cross (though Charbray’s are a cross between Brahman & Charolais- French bull; but the percentage ratio to call it a Charbray is very technical). Ruby is a Red Brahman (possibly crossed, we’re not sure). First feed was interesting. We did attempt to feed them Thursday evening, but neither was interested and they were rather settled. So we figured they must have had a feed from Mum before they arrived. The next morning however, both were calling and quite keen. Barts instincts kicked in and he forced his way between my legs and began searching for the udder. 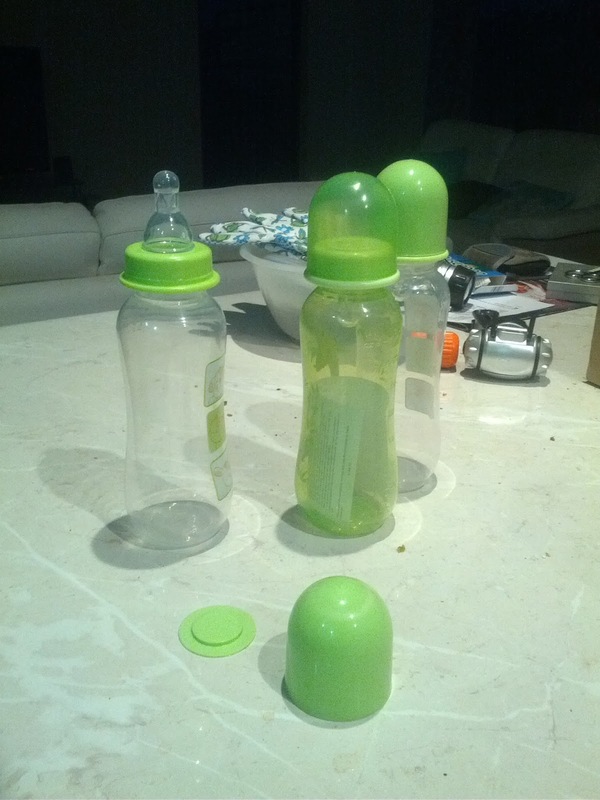 So I went with it and placed the bottle near my knees. This proved quite affective. Ruby on the other hand, doesn’t require you to straddle her, but likes to be close to you; along side. We are feeding them twice a day, so trying to get them into a routine. We will need bottle feeding them for a few months yet, so plenty of early starts! The formula is quite precise. Friends have warned us that getting the concerntration wrong; both under and over or the temprature can affect them. And obviously if they have the runs, it could cause dehydration, which could be fatal to them... it's quite a science! They seem quite content in their secure pen, like most babies they don't do a great deal other than sleep, eat and poop. We do let them have a (supervised) trot around the garden around feed times. And as its winter and the night temperatures have dropped (in Queensland terms- single figures is very cold!). We have set up the larger transport cage with hay inside for them to sleep overnight. Ruby doesn’t seem to be a ‘morning person’ and prefers to feed in the afternoons. Bart however will take whatever you give him, whenever its offered! He does begin to play up and buck and trot about when he’s had his quota, but will continue to pester for more, though he’s not really interested. Guess he’s afraid he’s missing out. So look out for future updates on our little ones.